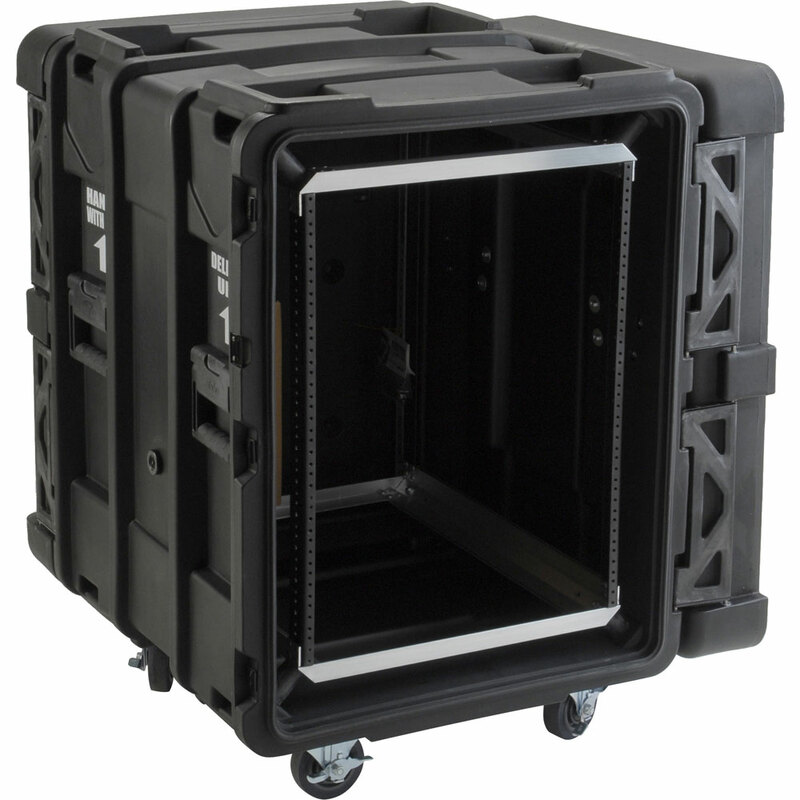 Taking shockmount rack cases to the next level, this series introduces the compound hinge system and field replaceable latches. The compound hinge allows the lid to swing out and completely around to lie flat against the main body of the case, or can be removed easily and installed back in seconds. 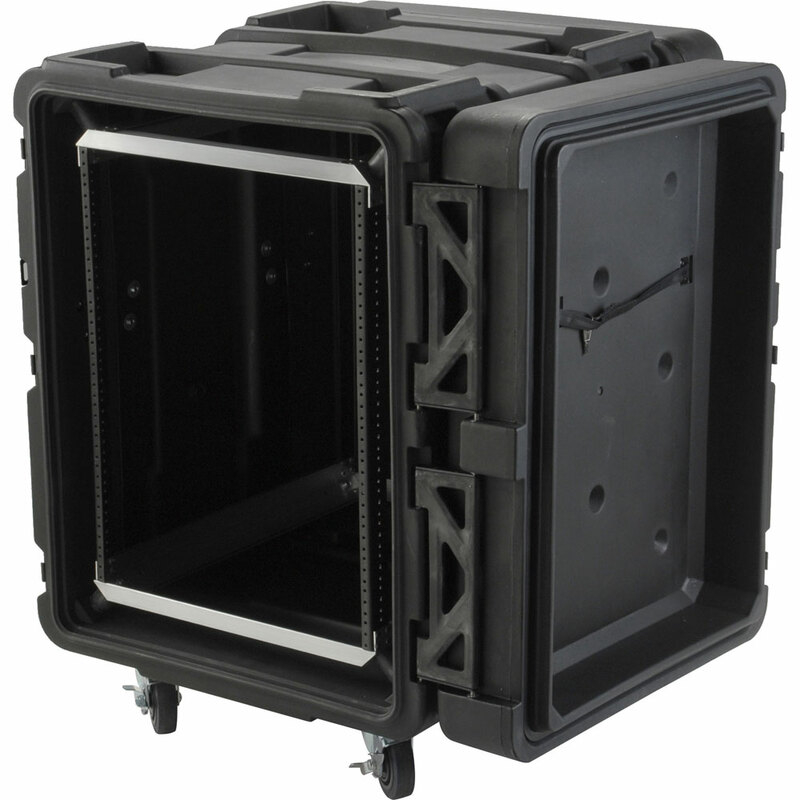 The front and rear lids are designed to protrude into the base of the case approximately one inch. 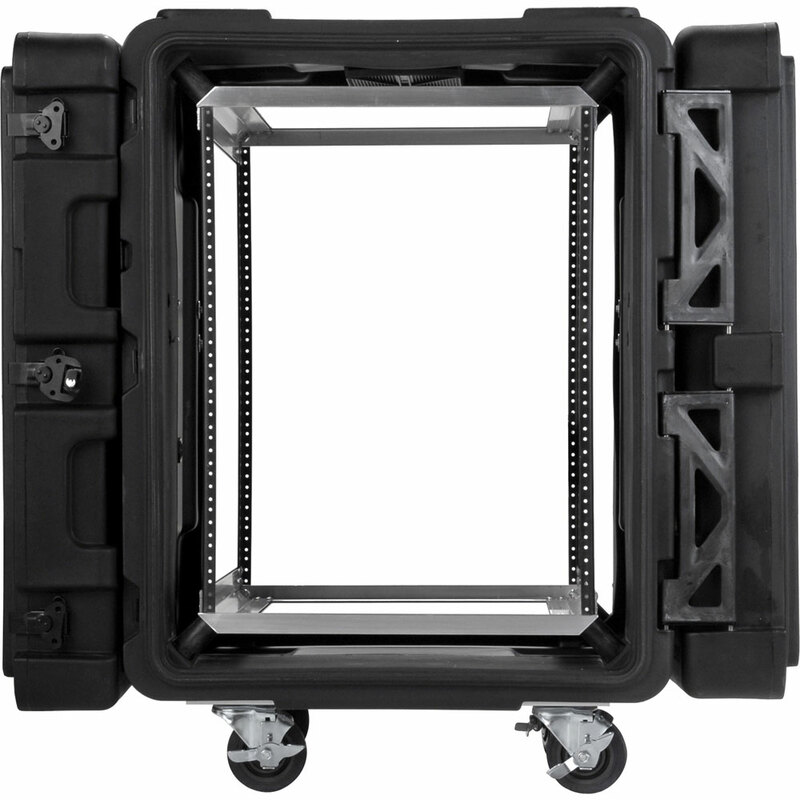 This unique double wall structure makes them incredibly stiff where the intersection occurs, giving this new generation of shock racks mil-spec sealing characteristics with significantly fewer latches than most other rack cases. 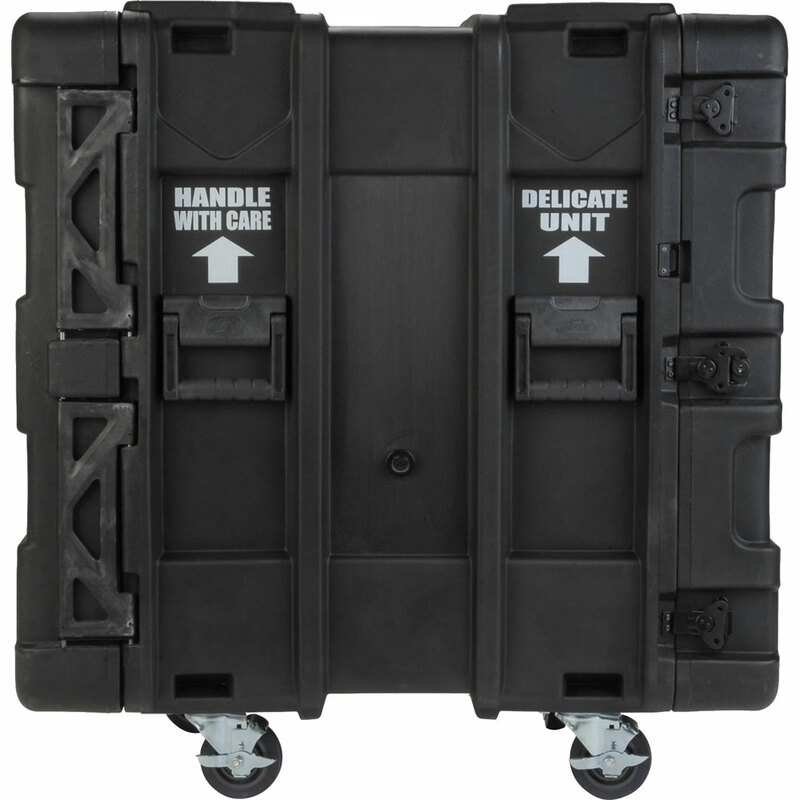 This allows for rapid deployment in an up-right configuration — even when stacked. The standard depth front to rear rail is 24" and each lid is 4" deep. 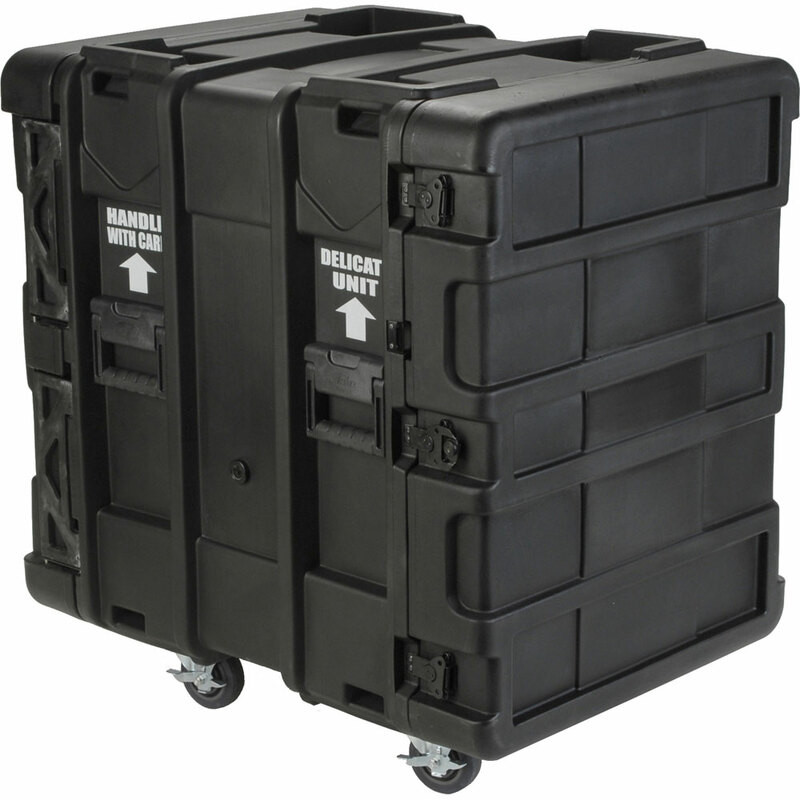 This new SKB shock rack system stacks securely with the wheels on or off and includes gasketed doors with pressure relief valve. 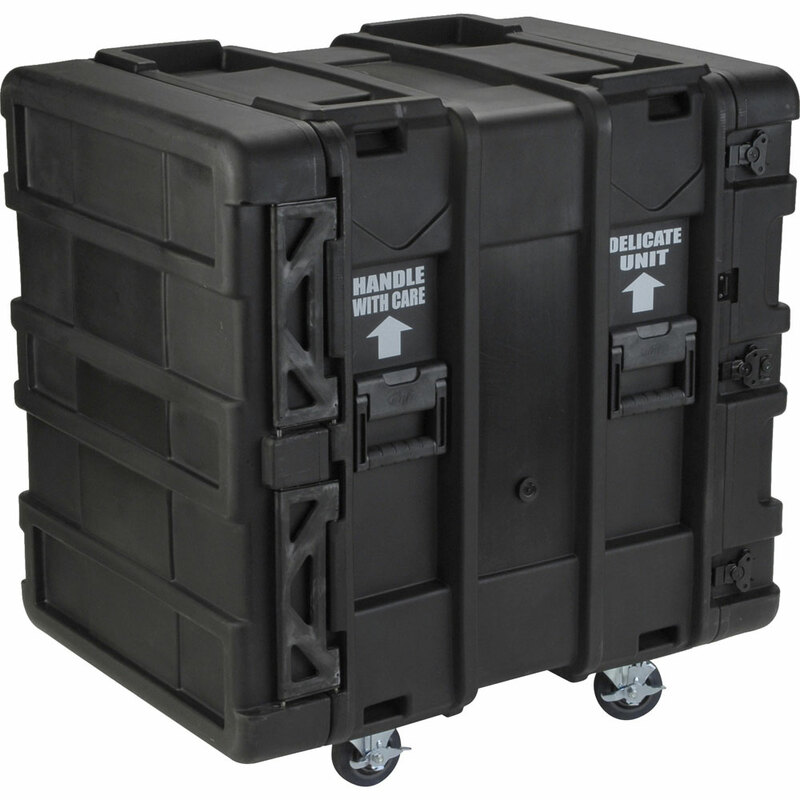 Standard features include: (patent pending) compound hinged doors, black powder coated stainless steel latches, removable 4" casters, and eight HM-245 elastomeric shocks (load range of 40 to 150 lbs.) with provisions to add additional shocks for an extended payload range. How fast do you ship out?